How to connect Databeat Doorsign to your Office 365 or Microsoft Exchange server. 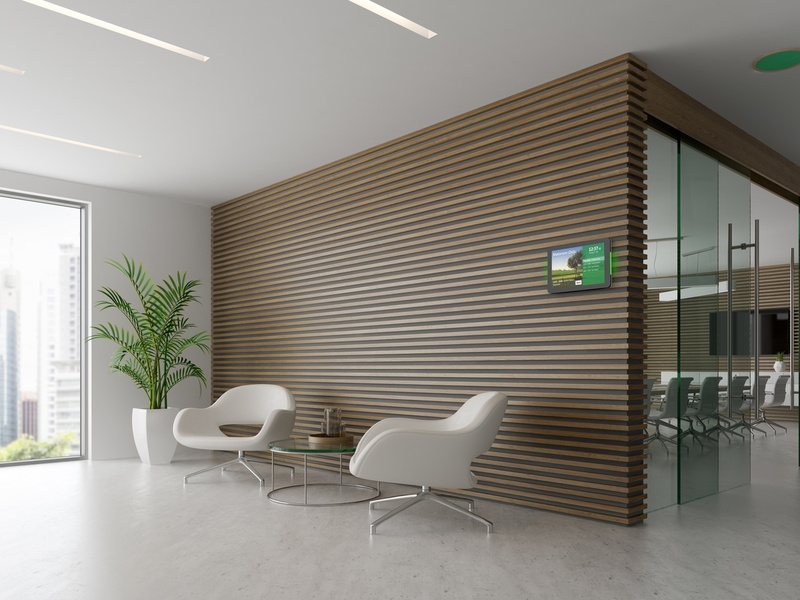 After Microsoft Office 365 or Exchange server is prepared for it (see separate articles) you are ready to connect Databeat Doorsign to the calendar account to view and display your Employees, Rooms and Resources (items). The Service Manager Account in Microsoft Office 365 or MS Exchange are correctly set up with a specific service manager and necessary rights are assigned. Access to the DatabeatOMNI screen publishing platform. If you don't have an account, feel free to sign up for a trial. In Office 365 you can create groups and assign users, rooms and equipment (commonly referred to here as items) to it. 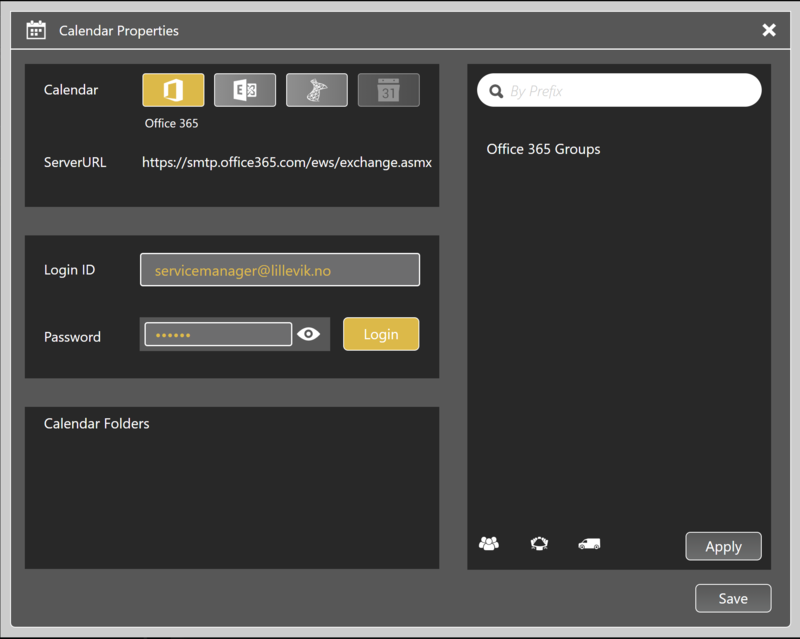 If you have more than just a few items, we suggest to use the Office 365 group feature to organize your items and locations. In DatabeatOMNI these groups are used to select which to create one or more doorsigns for. If you have many items you can create Office Groups to access only the items you want to. Log in to DatabeatOMNI using your DatabeatOMNI username and password. When you are in DatabeatOMNI you will see three tabs, Media, Locations and Users. Select the Locations tab, and pick the location on which you want to use your Databeat Doorsign. A Location can be the headquarter (main customer) or any other location the customer has added using the big + button. The selected location is highlighted (in yellow). Click on the Calendar icon (bottom left on the Info tab) to open Doorsign configuration. DatabeatOMNI will connect to your Office 365 / Exchange servers. Your Office 365 groups will be displayed in the list to the right. Select the Group you want to use and click Apply. You will then see a simple statistics showing number of users, rooms and equipment linked to the selected groups. Click save to save and exit.